Fred Olsen Windcarrier has announced that it has awarded contract for the transport and installation of Siemens Gamesa 7MW turbines at EnBW’s Albatros offshore wind farm. The Albatros wind farm is located in the German Exclusive Economic Zone, and turbine installation of the 112MW wind farm is scheduled to commence during the second half of 2019. 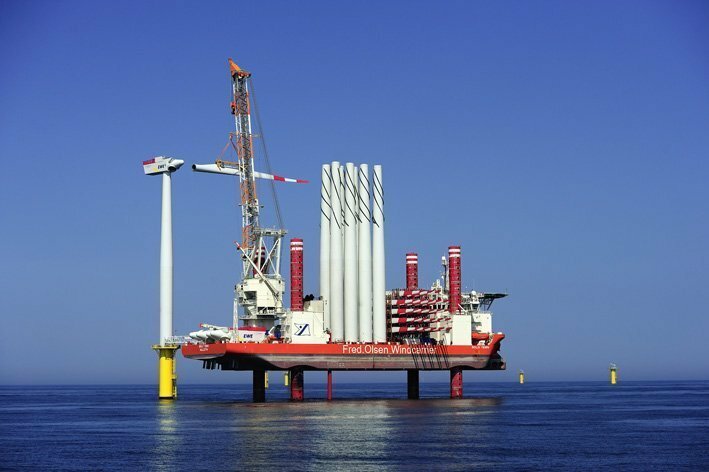 In March 2016, Fred Olsen Windcarrier was awarded a contract by Siemens for the installation of the Hohe See wind farm. “This new contract will continue our strong relationship with Siemens Gamesa, emphasising faith in our vessels and future collaboration,” said Martin Degen, commercial manager for Fred Olsen Windcarrier. Fred Olsen Windcarrier currently operates a fleet of two self-elevating jack-up vessels and 7 crew transfer vessels.